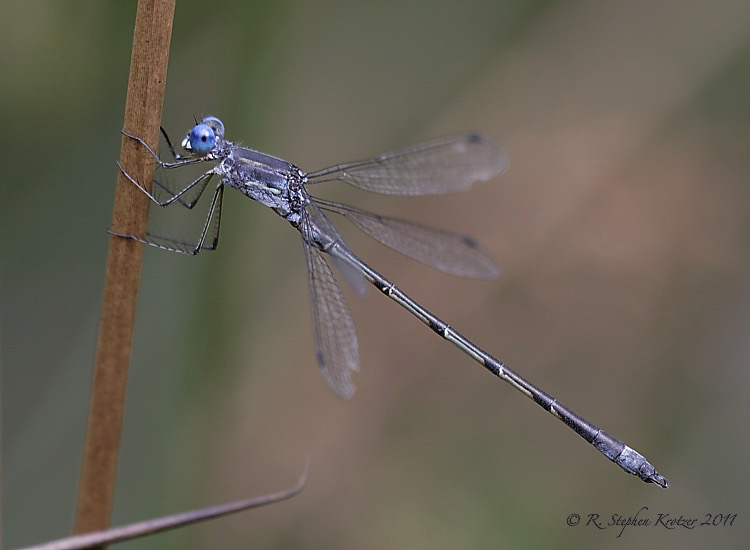 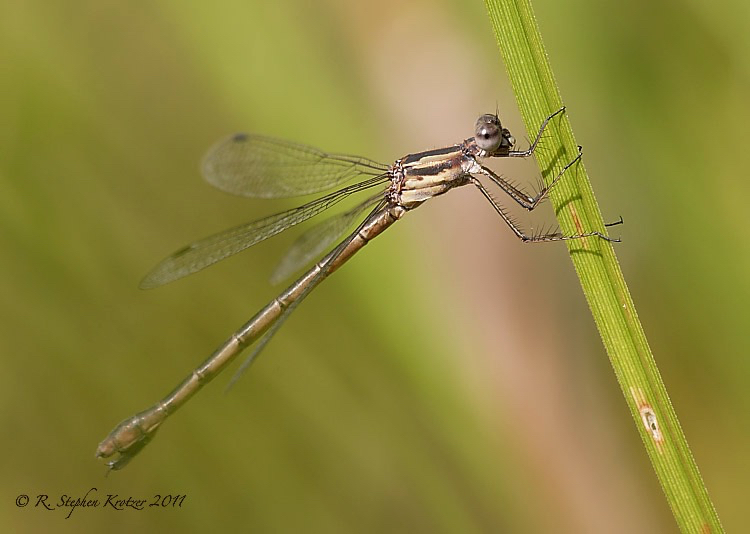 Lestes forcipatus is another northern species that just makes it into northeastern Alabama and has not been documented in Mississippi. 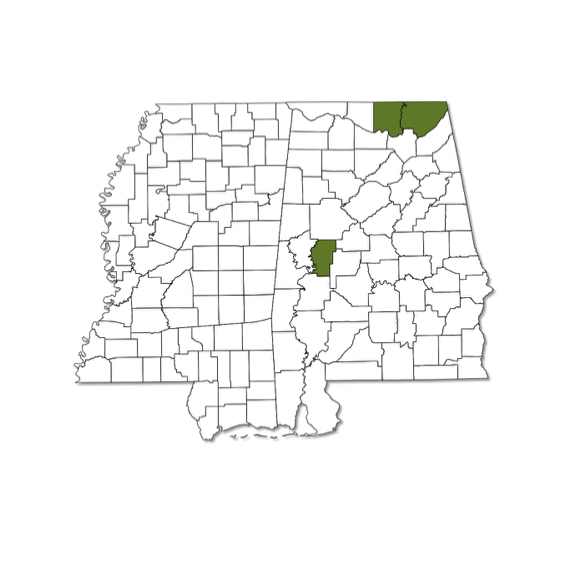 Interestingly, one male was collected in a spring-influenced ponded area in Hale County, AL, just below the Fall Line, which represents the southernmost known limit of its overall range. 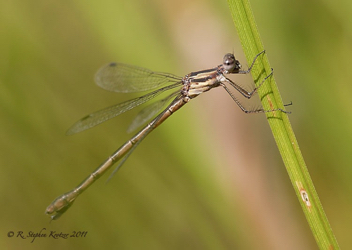 Habitat is ponds, both permanent and temporary.